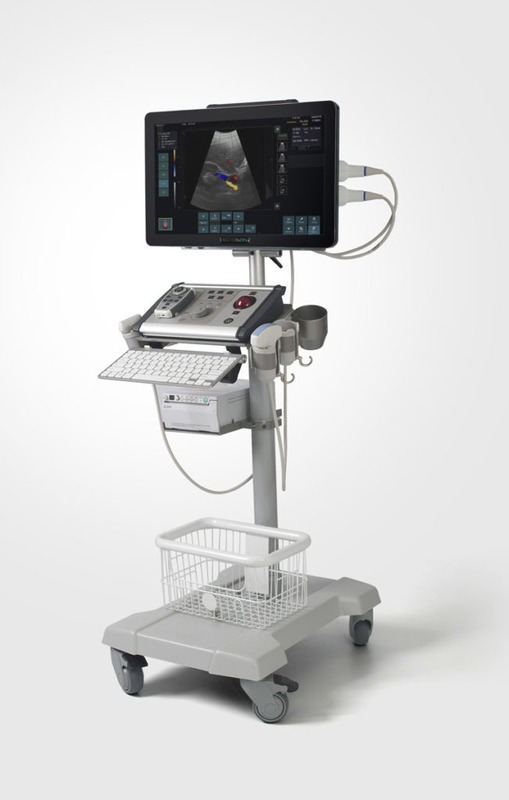 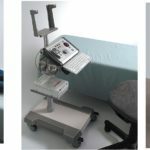 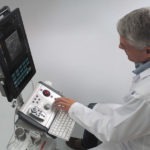 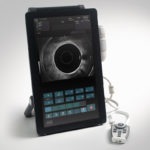 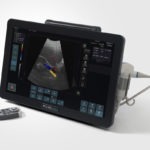 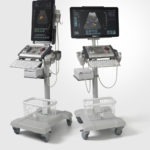 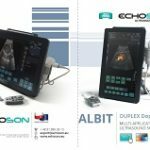 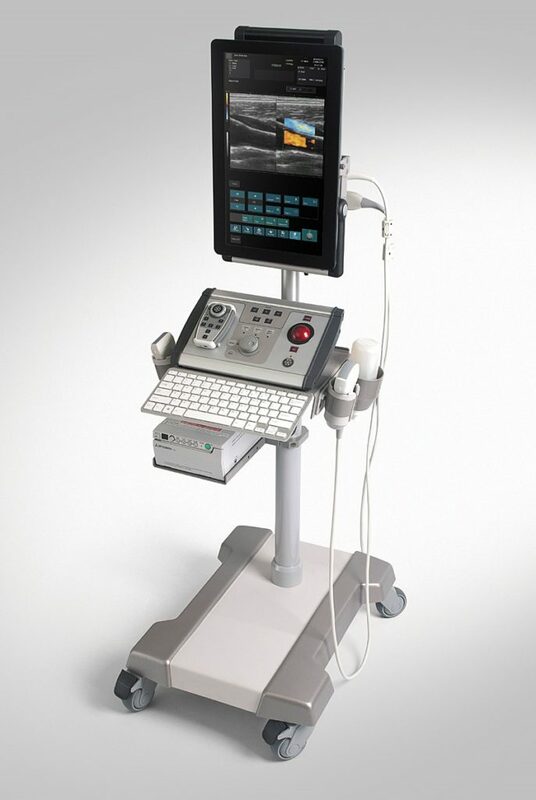 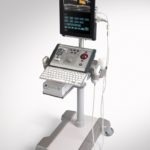 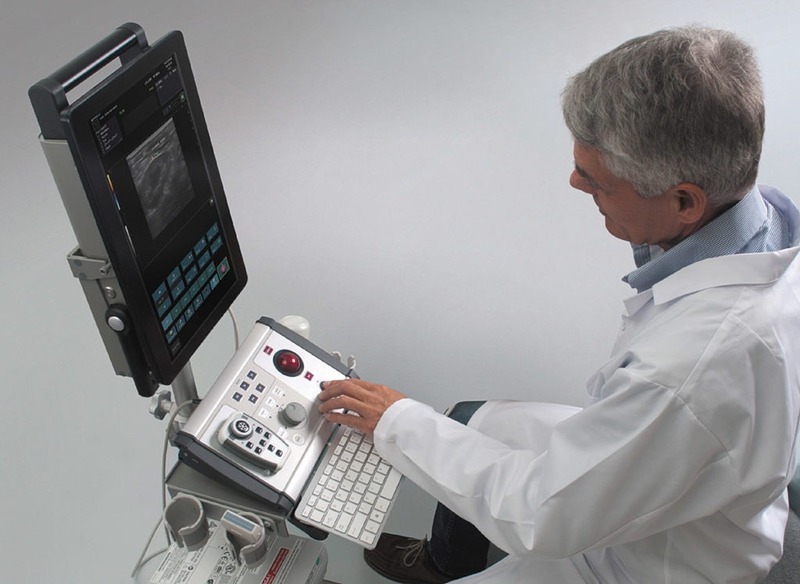 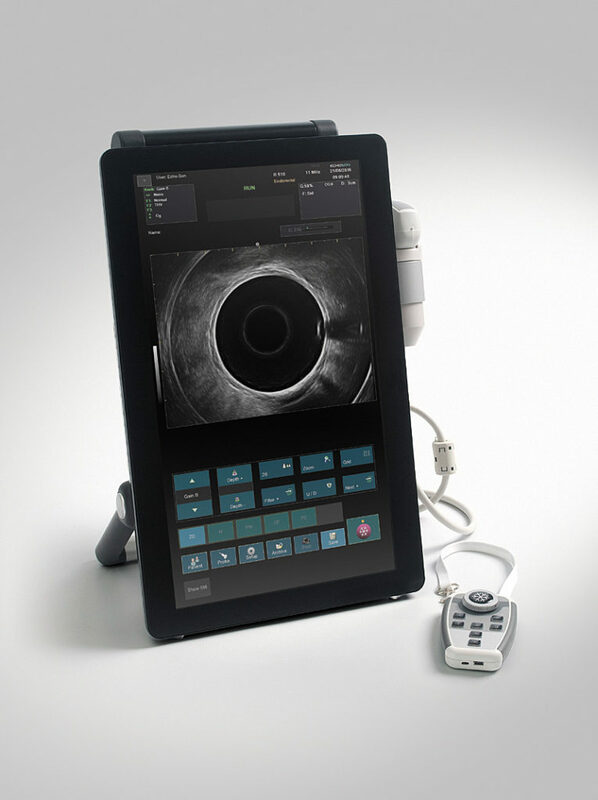 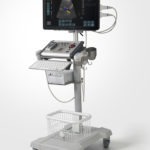 ALBIT- General /Universal – (stationary / portable) – ECHO-SON – manufacturer of high quality ultrasound scanners since 1993. 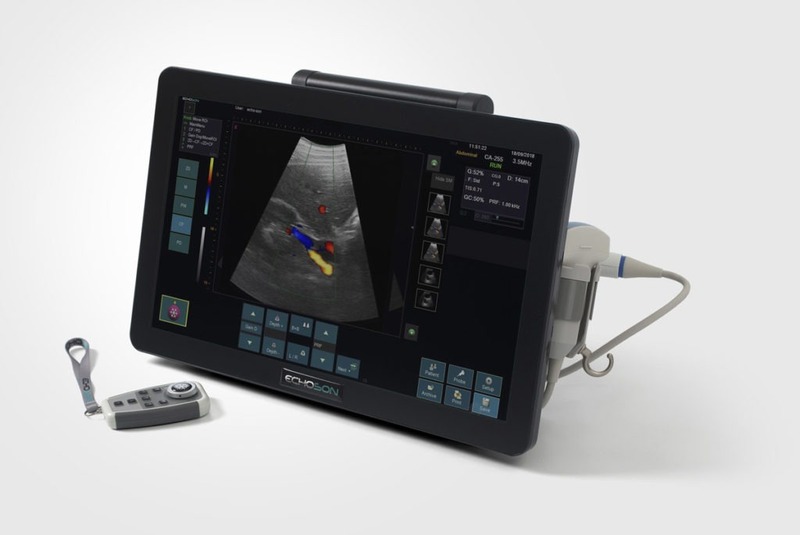 Smart and ergonomic BT remote controller enables to operate basic functions of the ultrasound from a certain distance, which is especially useful in emergency and treatment rooms as well as during standard ultrasound exams. 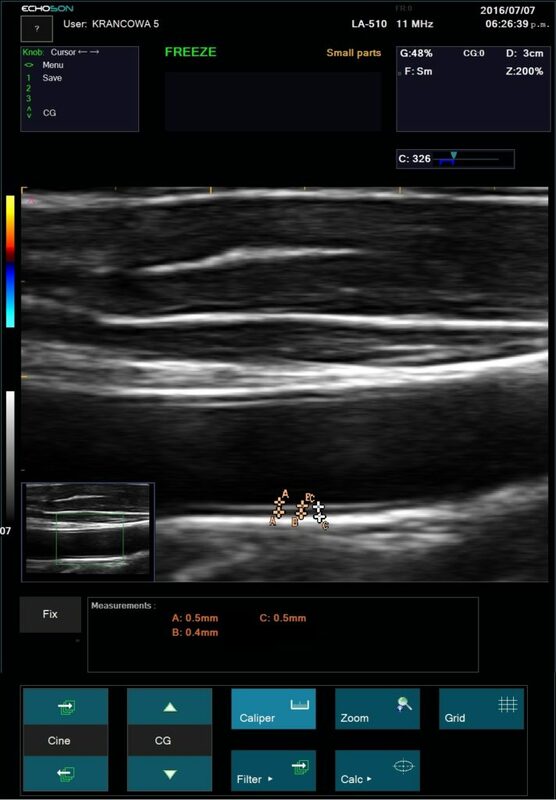 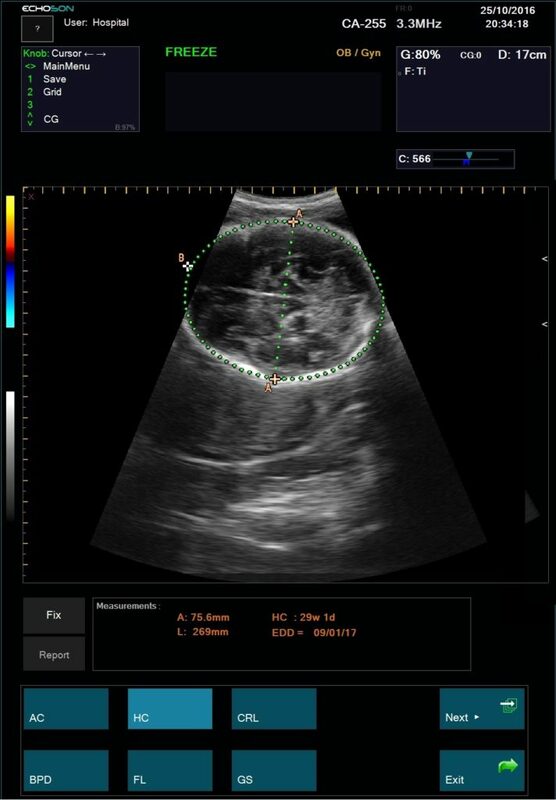 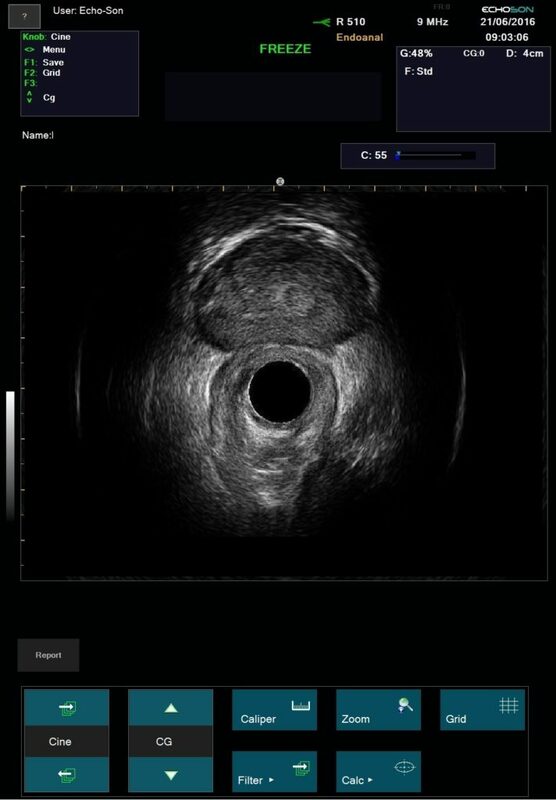 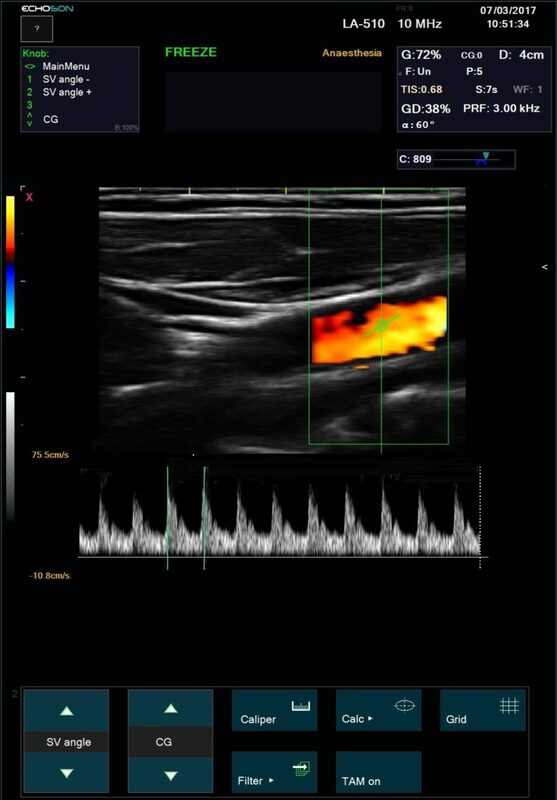 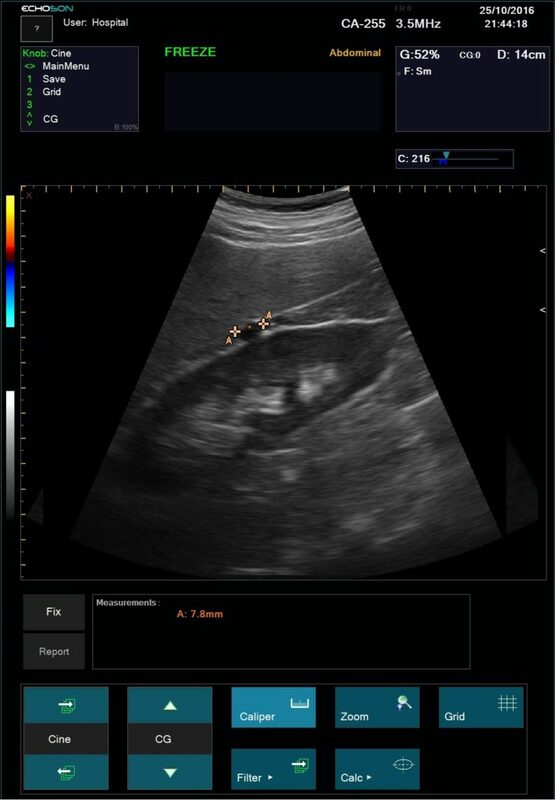 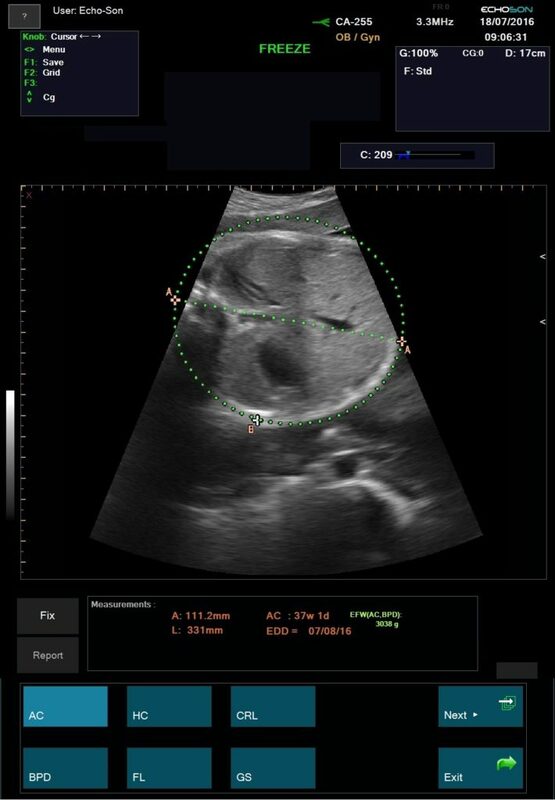 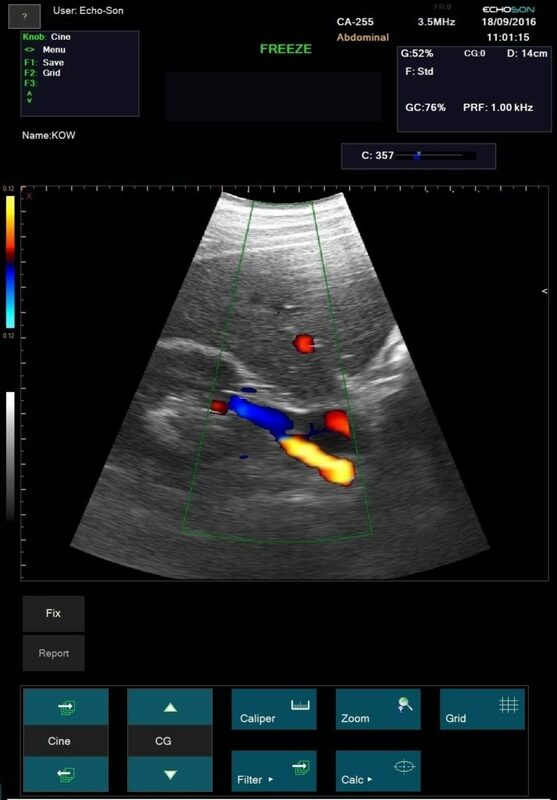 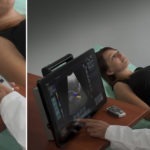 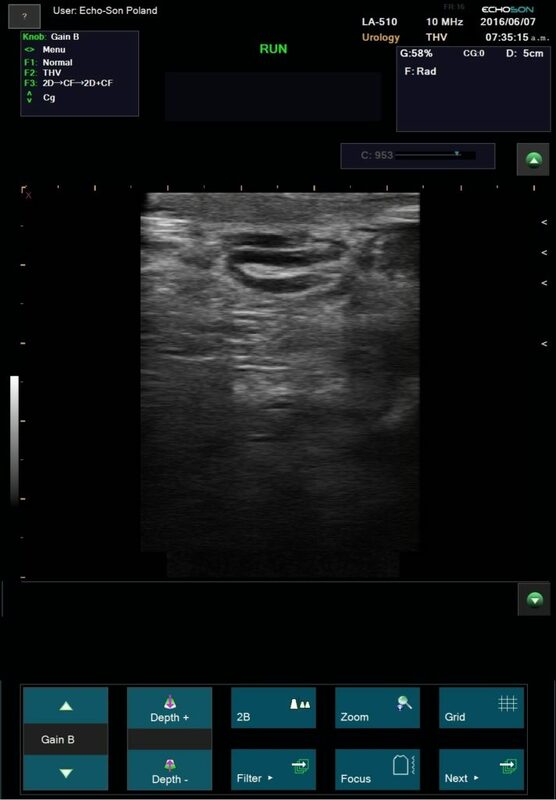 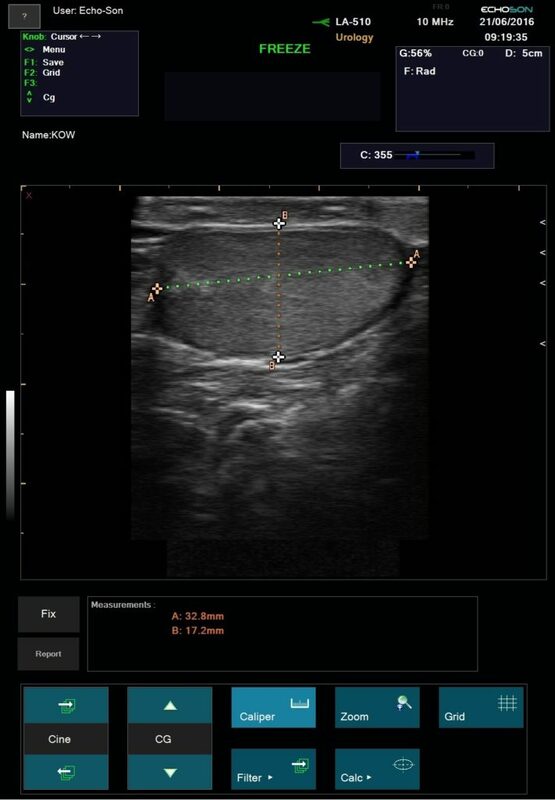 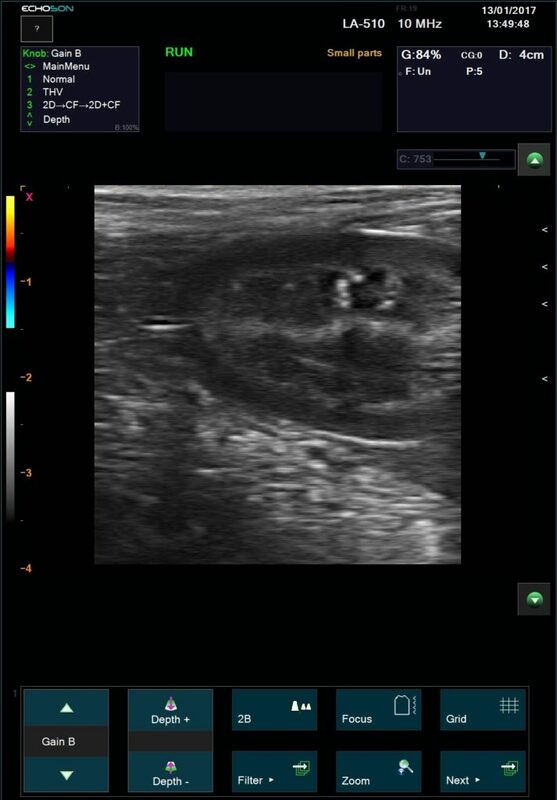 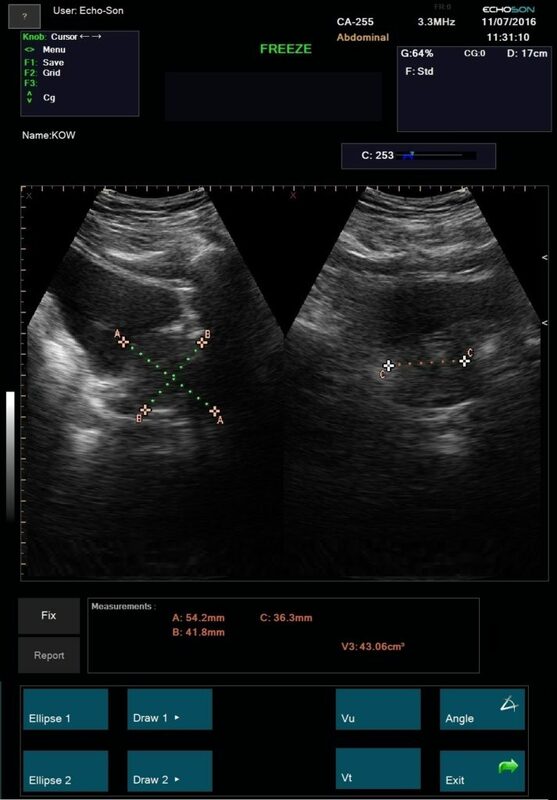 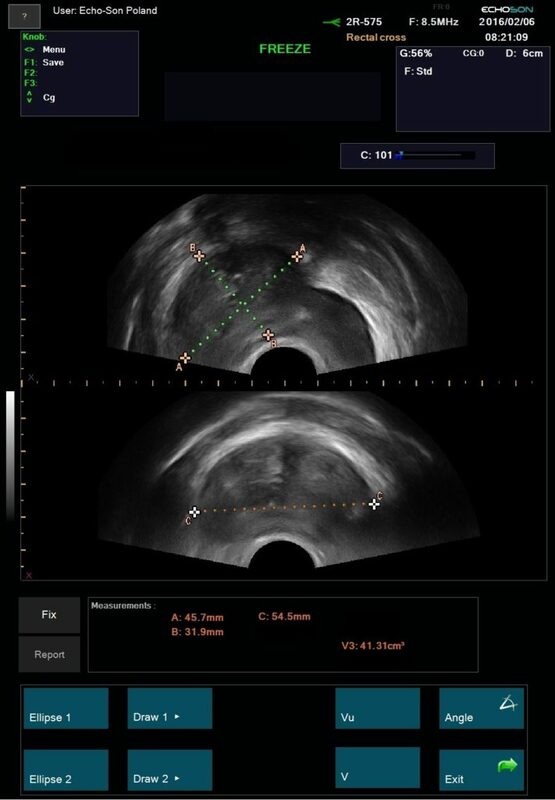 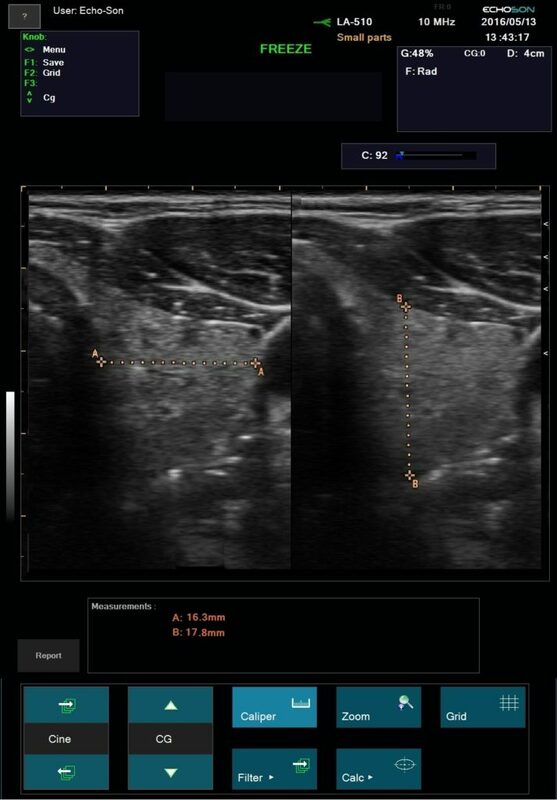 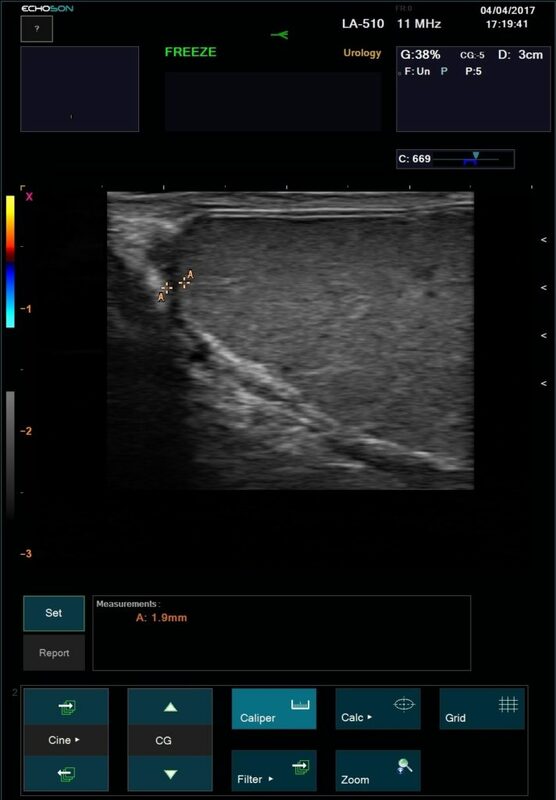 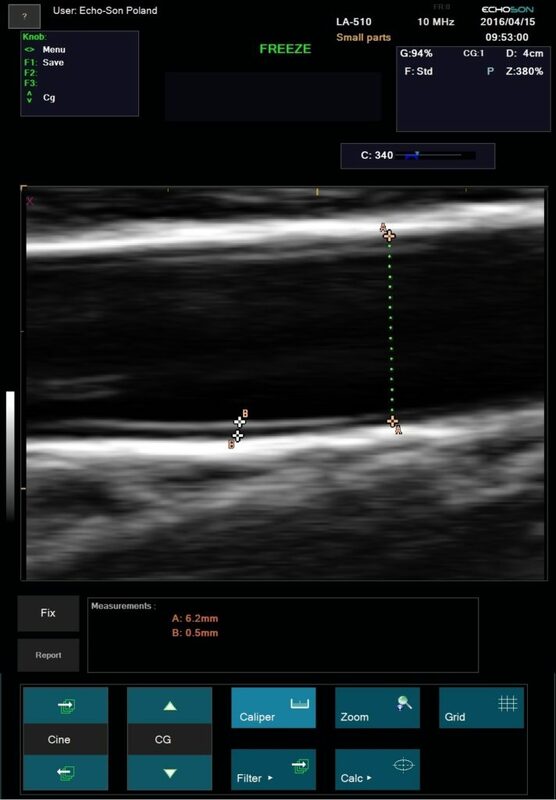 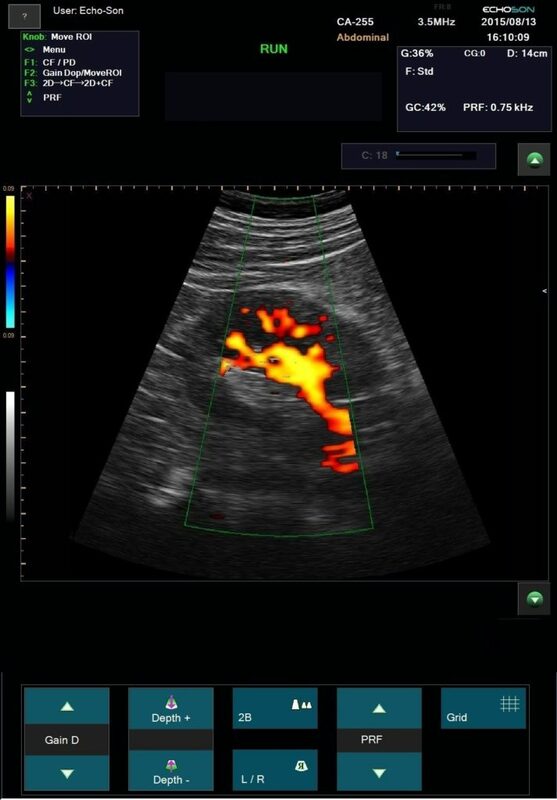 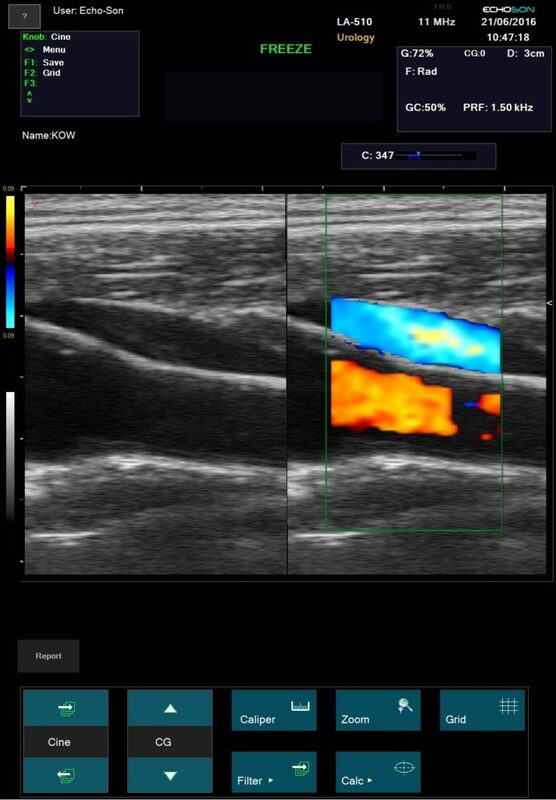 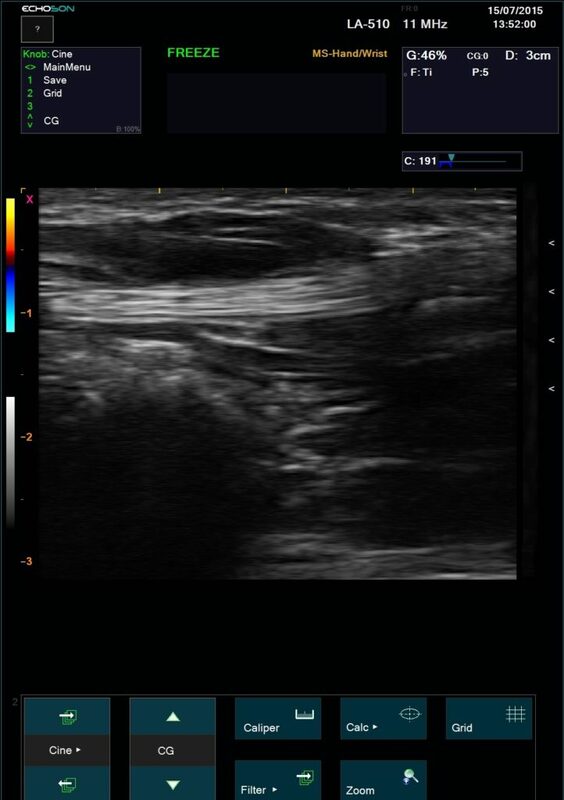 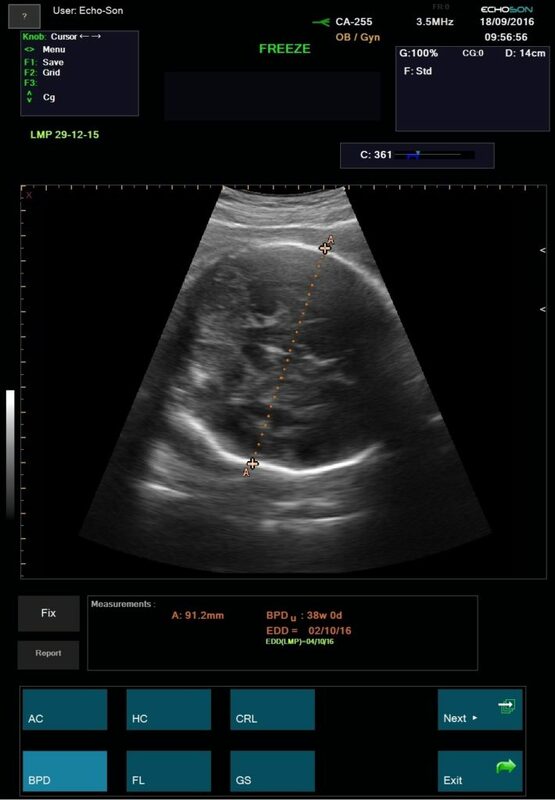 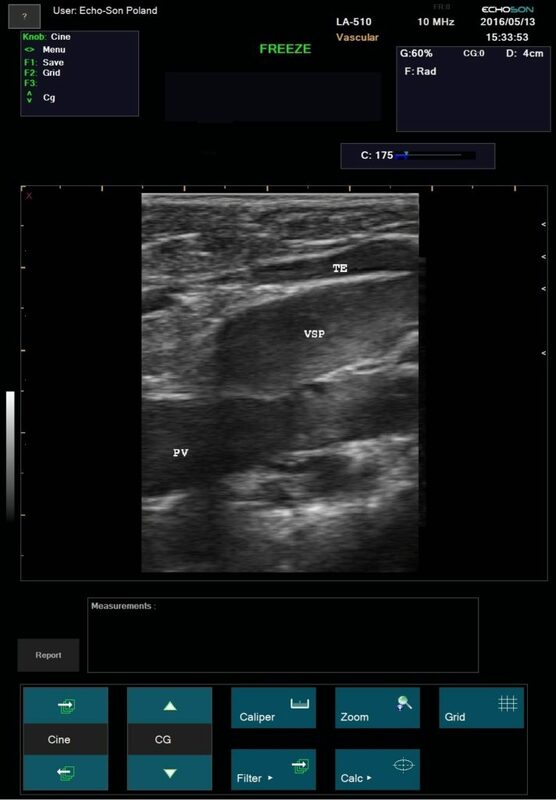 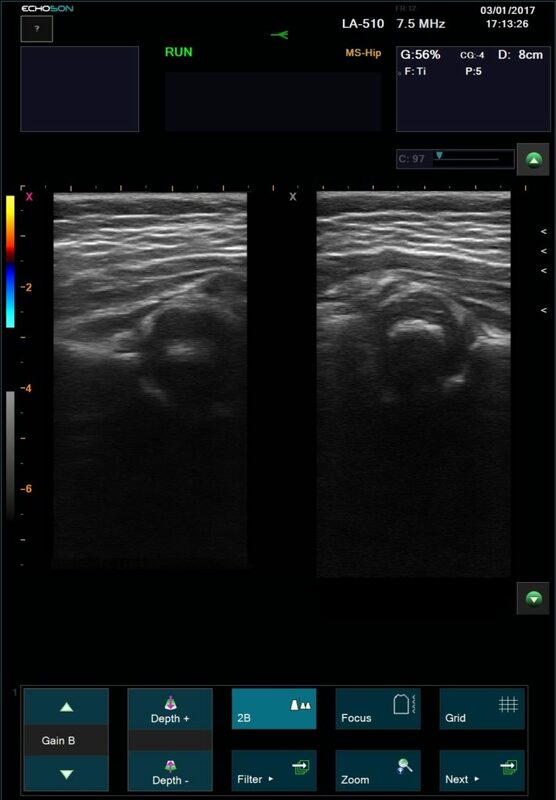 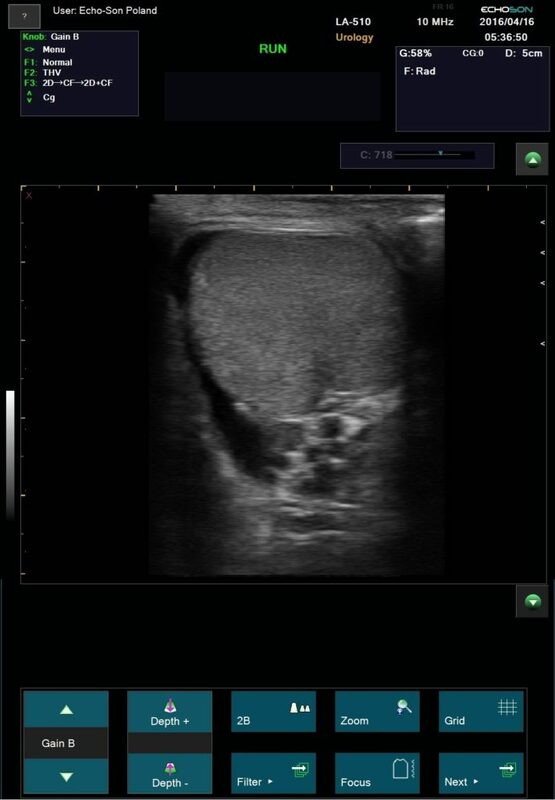 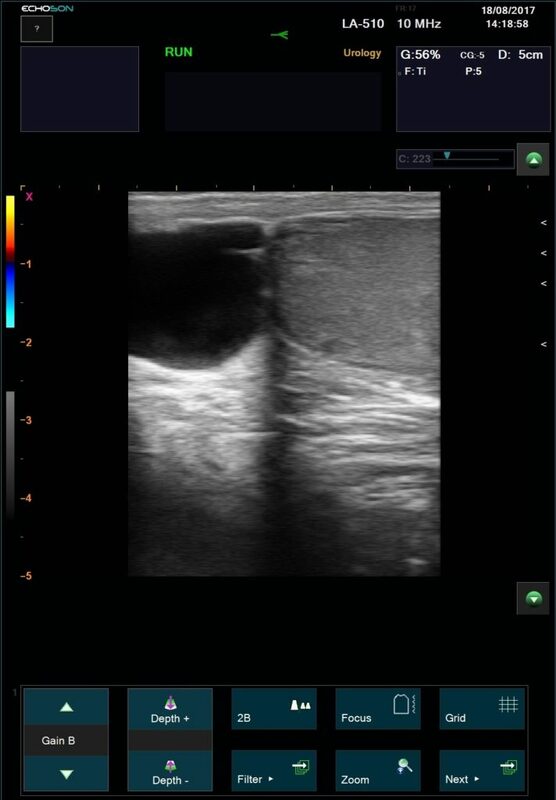 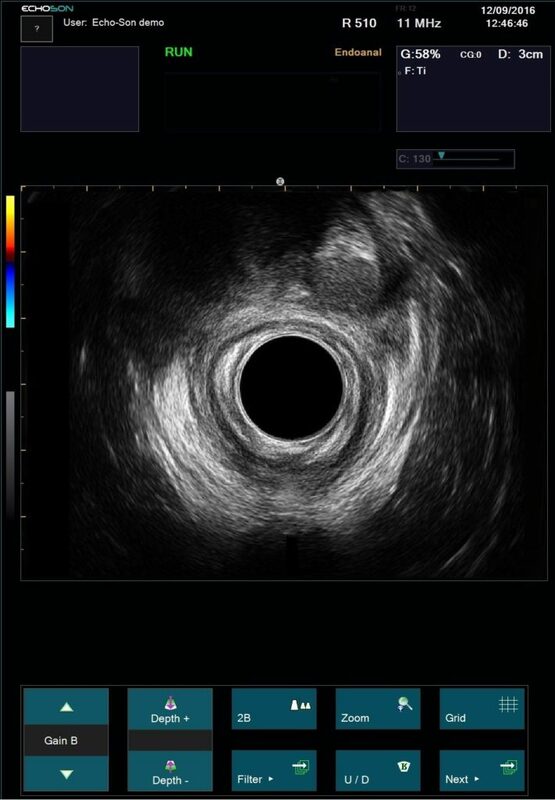 Ultrasound imaging starts to play an important role in assessment liver steatosis. 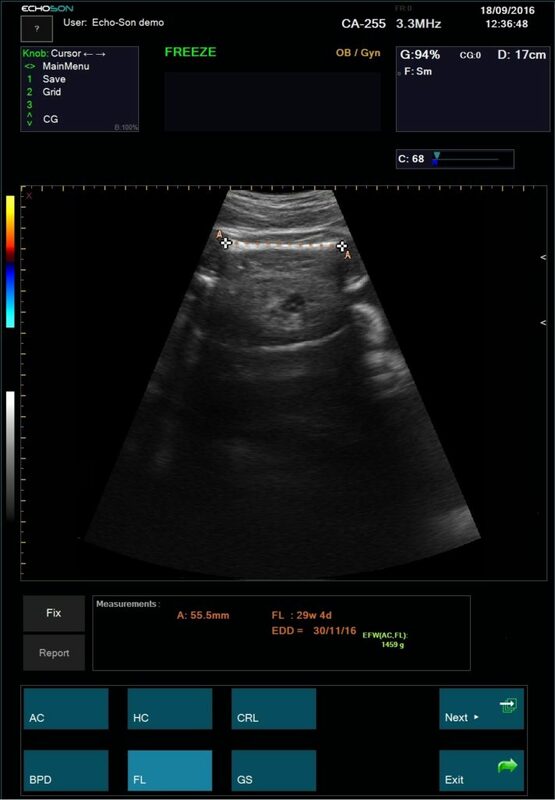 Echogenicity of fatty liver is high due to the intracellular fat inclusions. 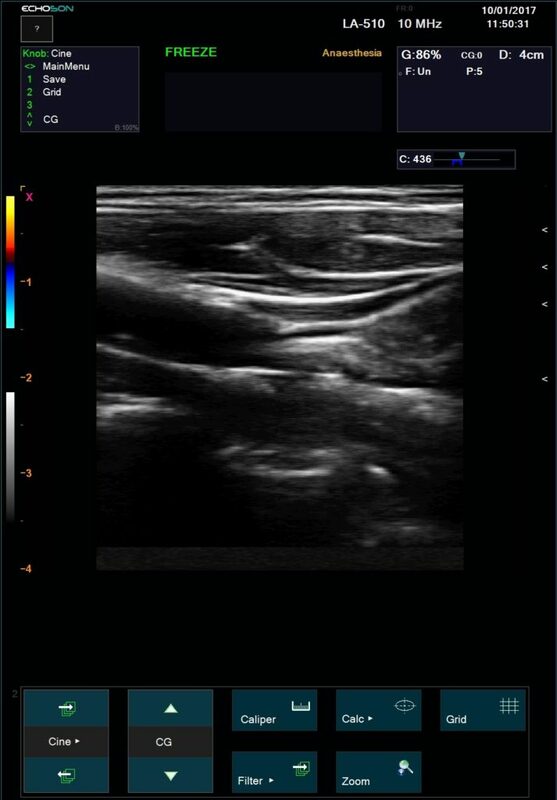 Hepatorenal index HRI calculate as a ratio of the mean brightness of the liver region hep-ROI to the mean brightness of the renal cortex ren-ROI. 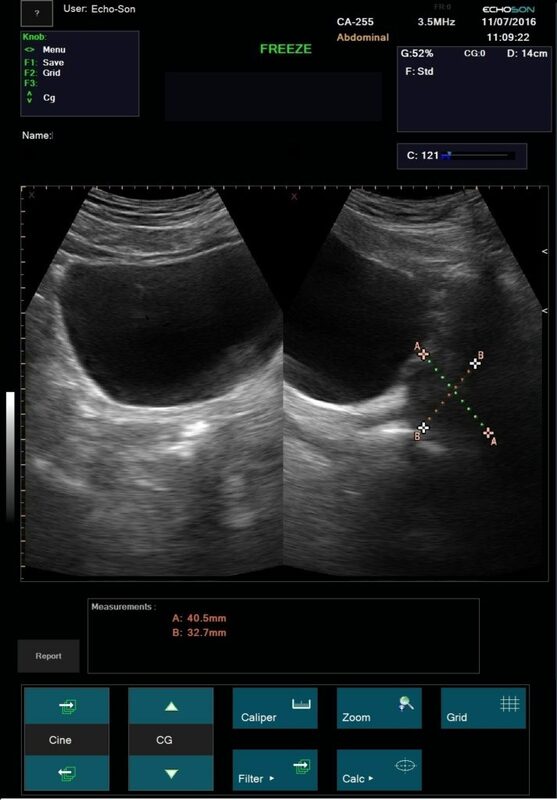 HRI for patients without steatosis is lower than the one for subjects with steatosis and the difference is in the range between 1.2 to over 2, respectively. 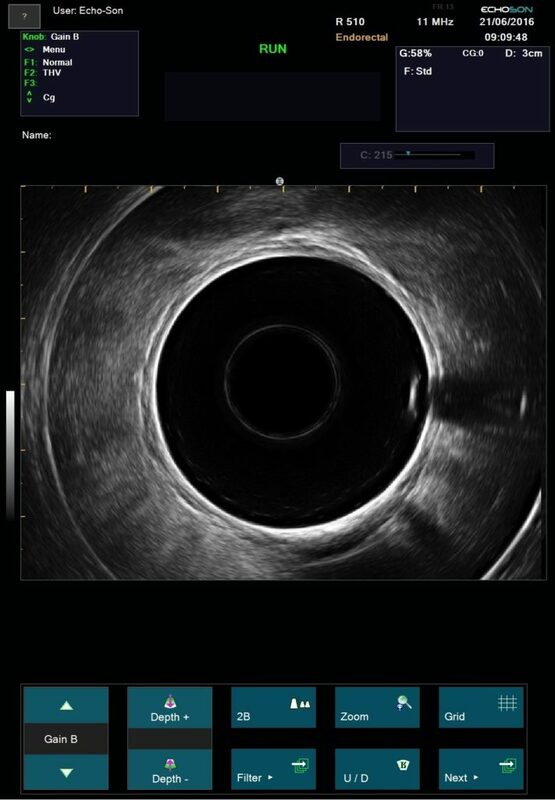 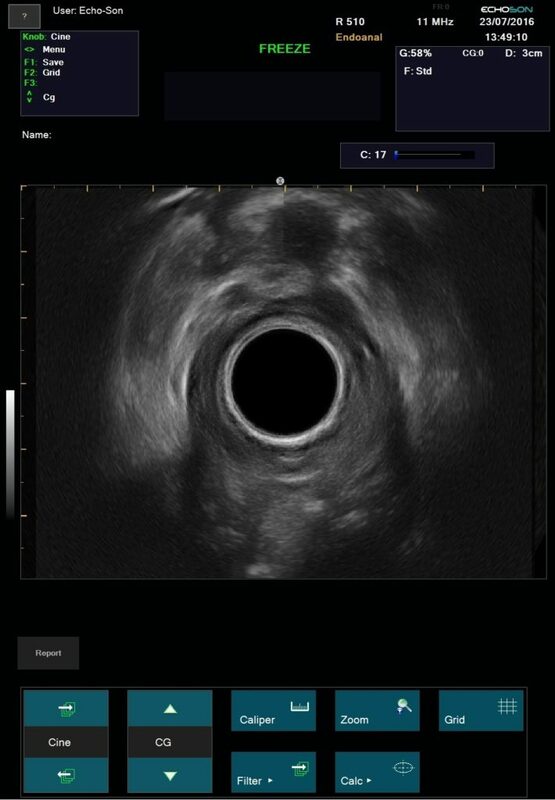 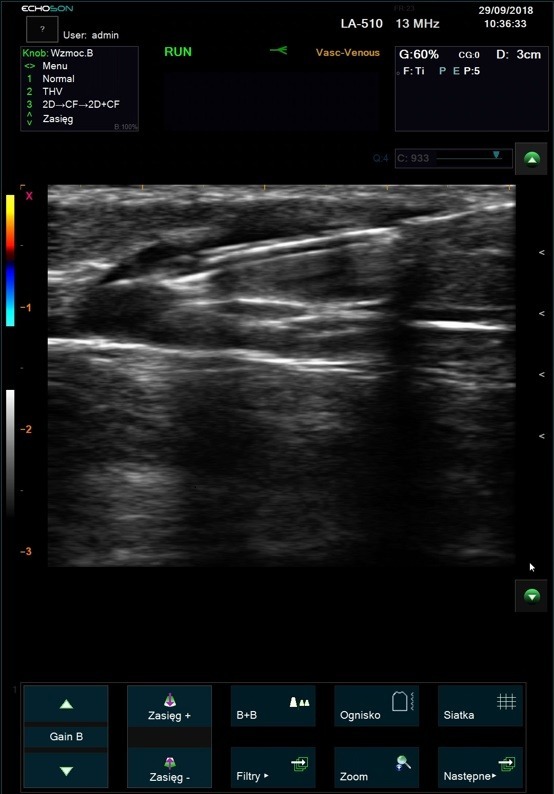 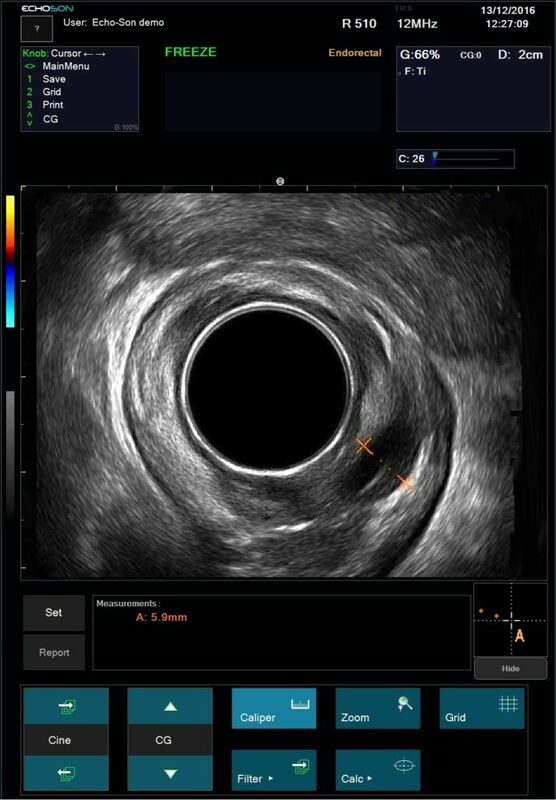 The new functionality has been introduced into the ALBIT scanner as a option. 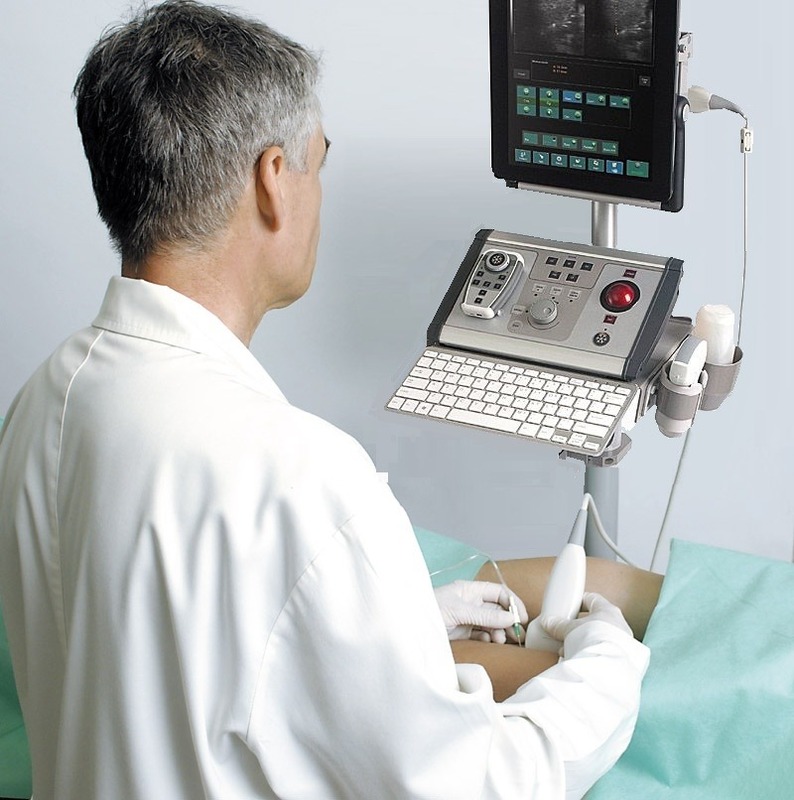 With the use of roll-stand, an ergonomic mobile solution, it is possible to perform examinations or carry out medical procedures easily. 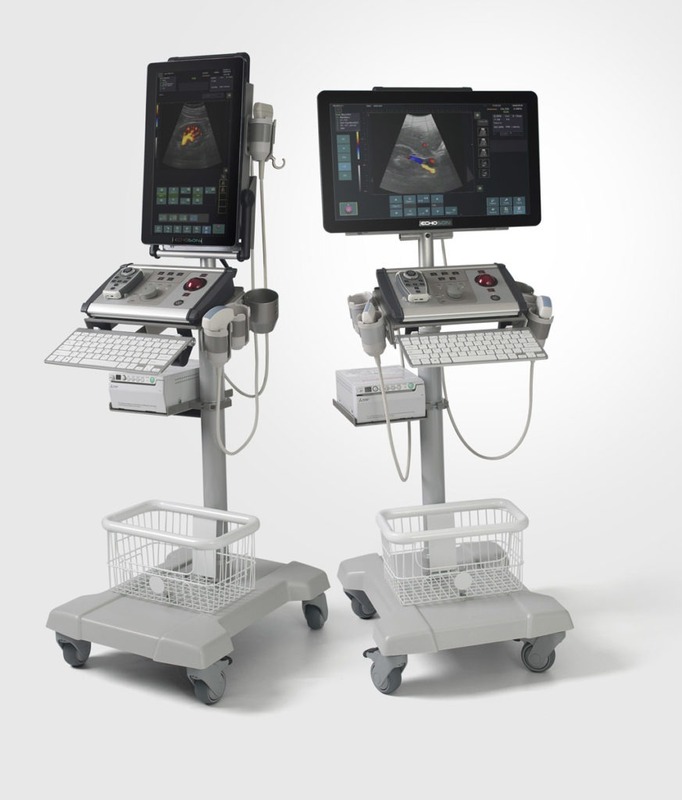 The possibility to adjust the height makes the roll-stand more functional and useful addendum to the system. 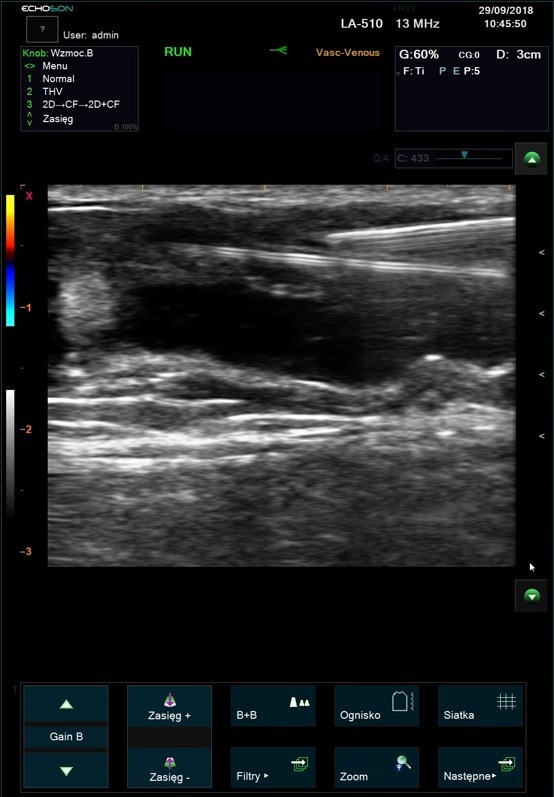 ALBIT system in 3D mode uses free-hand techniques without position sensor (fan or linear method). 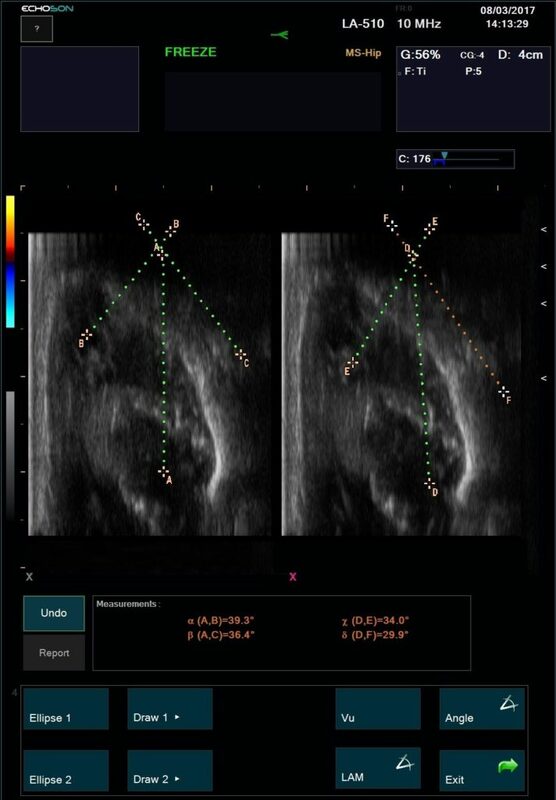 Real-time 3D reconstruction after a free-hand acquisition is performed in two ways: Surface reconstruction or Transparency rendering. 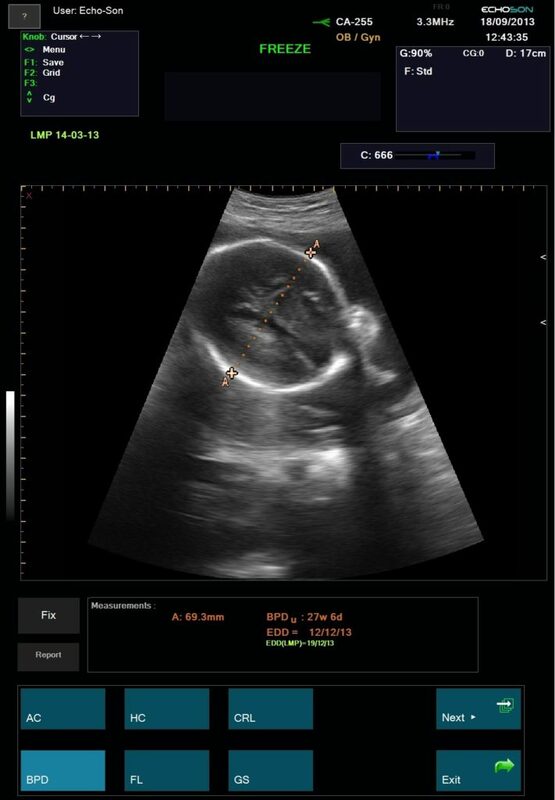 Surface reconstruction basically is used to visualize the foetus in obstetric applications. 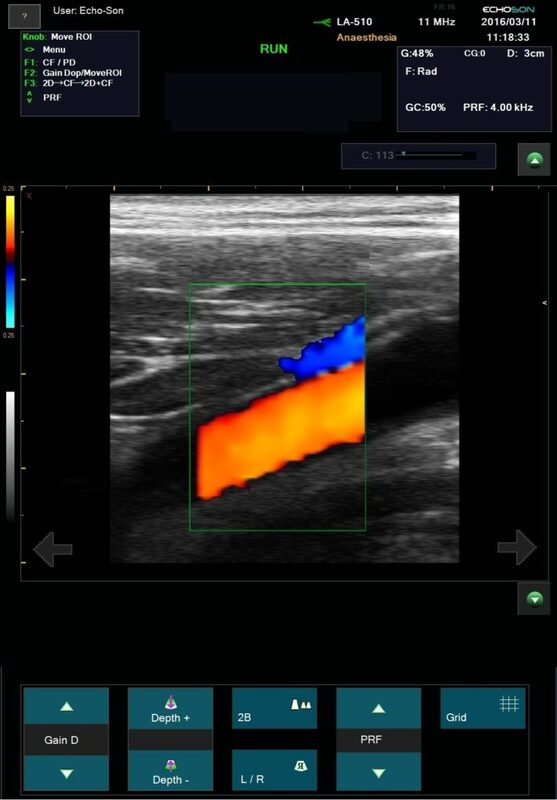 Transparency rendering (MIP – Maximum / Minimum Intensity Projection) is used in other applications and demonstrates imaging planes not accessible with normal scanning techniques.